Looking to make a splash on Valentine’s Day? Here's a whale of an idea. The Shedd Aquarium and NBC 5 have an exciting, once-in-a-lifetime opportunity for you and your main squeeze to get engaged while swimming with Beluga whales! Submit an application to the Shedd Aquarium Web site starting Monday, January 23rd. You’ll have until Monday, February 6th to thrill Shedd judges with quirky pitches of how you and your's met and fell in love; why you want to propose and why you want a Beluga to witness the special moment. The Shedd Aquarium will pick the top story and will notify the winner. Couples must be available on Thursday, February 9th for the proposal to take place. The winning couple will be given the rare opportunity of a Beluga Encounter Proposal Experience for two; a private poolside moment that’s perfect for popping the question. Afterward, the couple will be able to celebrate with a private lunch with champagne and strawberries in a very romantic setting. The couple will also be featured on a segment on NBC 5's morning show. Don’t worry about not winning because beginning February 10th, the Shedd Aquarium will offer the Beluga Encounter Proposal Experience for anyone looking to propose. 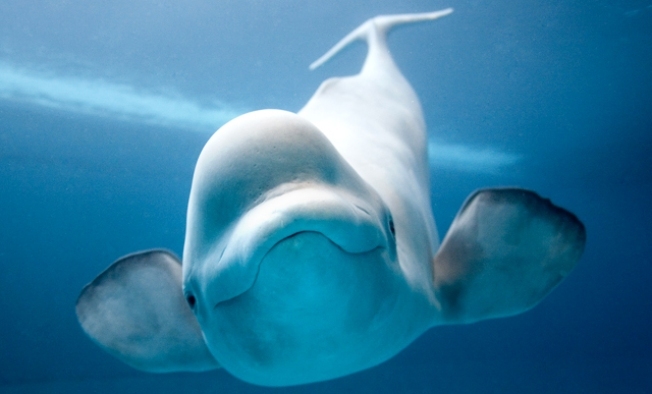 Book your Beluga Encounter Proposal Package by inquiring online or calling 312-692-2730. Let the most inspiring whale of a love story win!